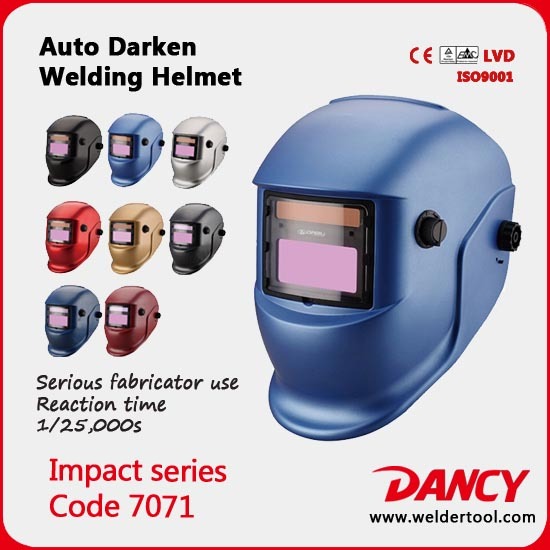 DANCY Welding helmets combine performance with style and value while offering a Welding Helmet solution for every type of welder. Our comprehensive auto-darkening helmet line is designed with the latest LCD lens technology for best-in-class eye protection. 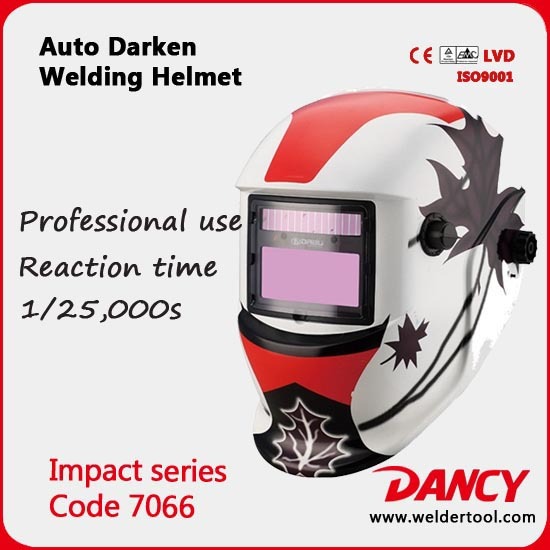 All welding helmets provides a larger viewing area lens 7.0 square inch, no-limited arc sensors for more eff-ective arc detection, A wider range of shade settings from #9 to #13 provides the welder with greater flexibility in low-light situations on MMA,mig, Stick and TIG applications. And The Impact Series, the fastest switching speed time provide superior flexibility for all MIG, Stick and low-amperage TIG applications,proves that you're serious about welding and fabricating, with professional features you will appreciate. 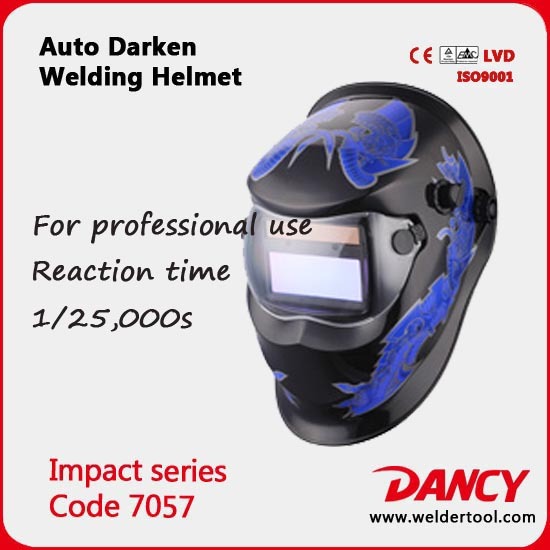 Why use auto darkening Welding Mask? · Fillet welding mask: When welding by hands, we should use neck strength to shake off the weld cap at the moment of the welding. Or it will cause damage to the eyes. Working for a long time will cause disease of the neck. · There is no need to repeat covering your eyes before arcing. Therefore efficiency is improved. · Hands are thoroughly set free, welding is more exactly. You are welcome to contact us by email or phone for cooperation! 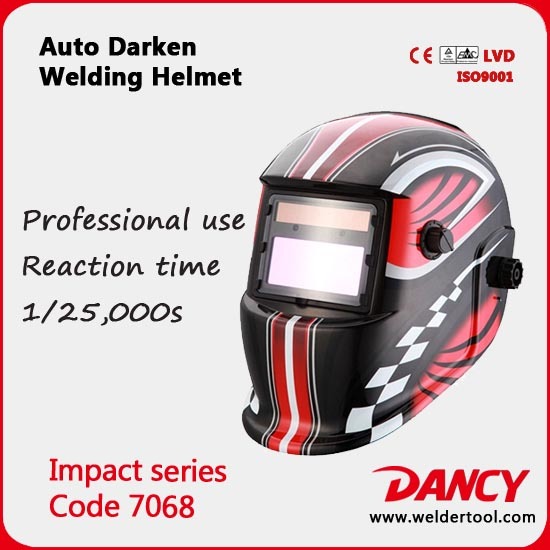 How to use welding helmet? (1). 6 pcs of helmets packed together in one carton( normal). (2). 20 pcs of helmets packed in one carton( economical). Looking for ideal Electronic Welding Mask Manufacturer & supplier ? We have a wide selection at great prices to help you get creative. 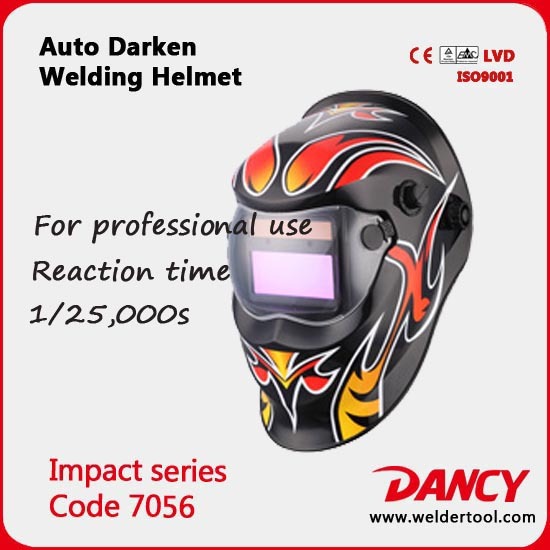 All the Different Colors Electronic Welding Mask are quality guaranteed. We are China Origin Factory of Hot Sell Electronic Welding Mask. If you have any question, please feel free to contact us.